All twelve teams are now alongside in Qingdao following the arrival of eleventh placed ClipperTelemed+ and twelfth placed Unicef after a gruelling race from Da Nang, Vietnam to complete the Asia Pacific Challenge. ClipperTelemed+ Skipper Matt Mitchell and his crew were early leaders in Race 8, but slipped down the leaderboard after sustaining equipment damage and tactical routing did not work out as hoped. This is the second time Matt has sailed into Qingdao, having skippered in the last race edition too. 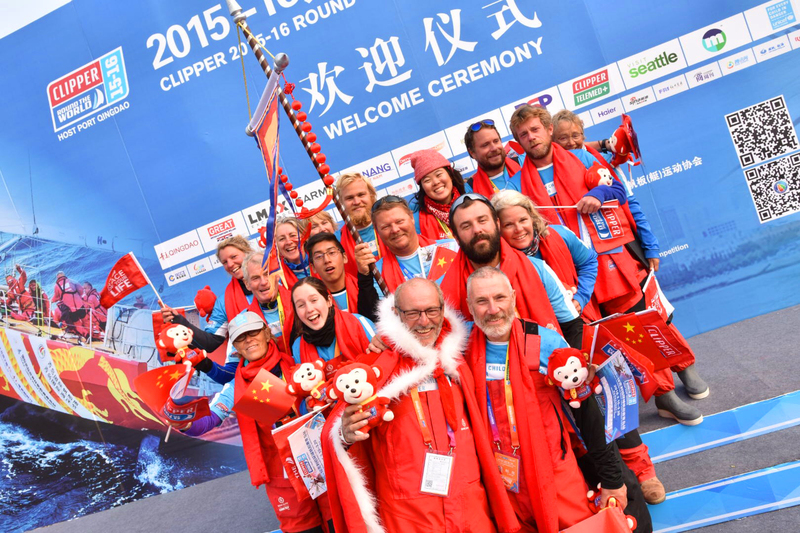 Smiling as ClipperTelemed+ berthed in the Chinese Host Port, Matt said: “The main positive is that we are in China! It’s good to be back, really good to be back. We have a week here now and we will be psyching ourselves up for the big one next when we take on the mighty Pacific. In 2013-14 we started this race in Singapore so it took over a month to get here, so it was much shorter this time around. “That race had a bit of everything. We didn’t have such a good start on the line but overnight really picked up. We were leading for a few days which gave the team a real boost and it certainly galvanised everyone into racing the boat hard. It was quite strange feeling to be honest, to be tussling with LMAX Exchange and GREAT Britain. 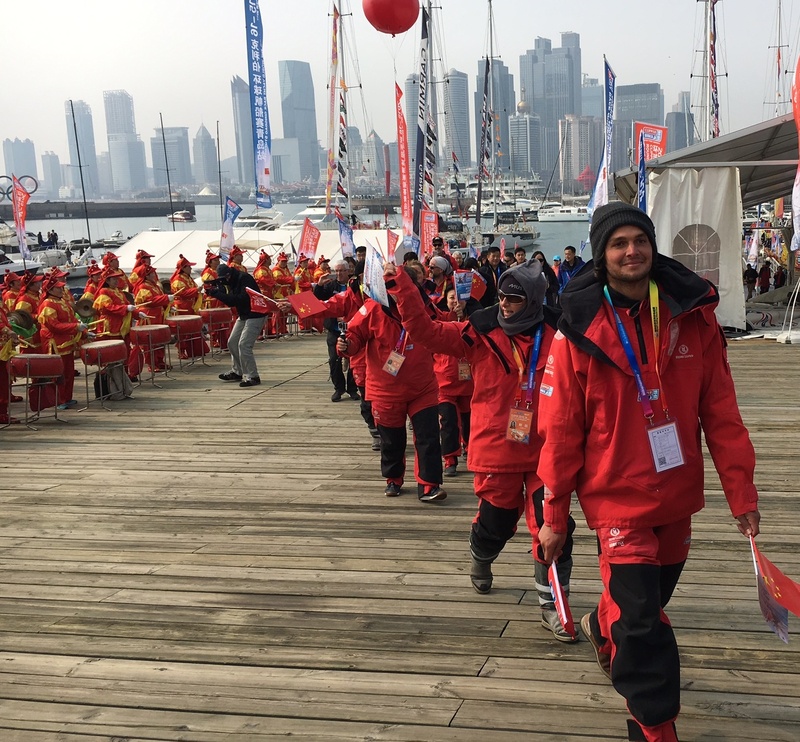 After being greeted by the drummers and the Qingdao dignitaries on stage, circumnavigator Alex Laline (pictured) says: “From the whole circumnavigation, I think that race has been the most difficult so far because we had all sorts of conditions from no wind to 50-60 knots upwind. Also, we were without our mainsail for 3-4 days which meant we dropped a few positions but the team is very much together so it’s been a nice experience so far. “It was really exciting in the first few days. Matt did a really good job at the start of the race tacking through a waypoint that we had which put us in the lead. We were all fully going for it until we ran into a few problems. “We have all been waiting for this moment and the arrival into Qingdao because we have heard so much about it. After the ceremony I think I need to go to my hotel room, have a good sleep and start preparing psychologically for the Pacific Ocean crossing. 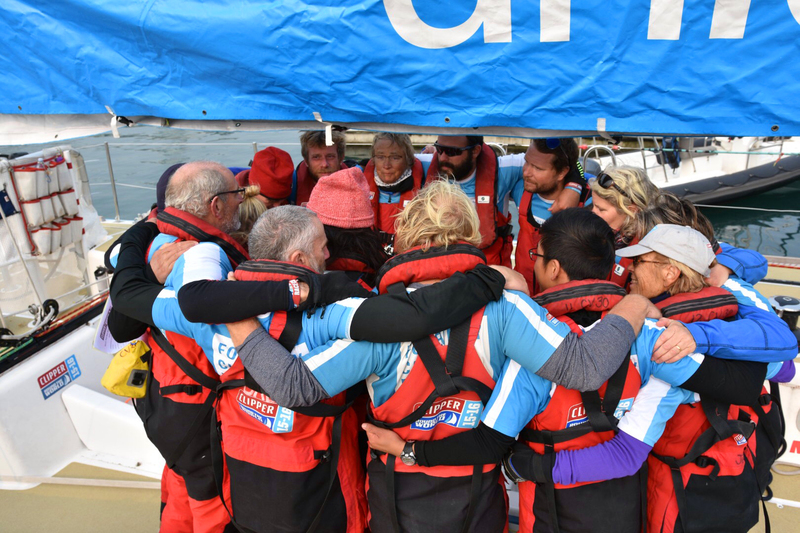 Unicef was the final team to arrive in port after a difficult race which included a diversion to Shanghai in the hope of being able to evacuate an injured crew member. In the end, due to logistical obstacles, the crew had to take the decision to make their way directly to Qingdao, accepting 12th place in the process so they could finish the race under motor and ensure the fastest evacuation possible for the casualty. For Skipper Paul Atwood, who stepped in at the last minute to lead the team from Airlie Beach in mid-January, it was an emotional finish to the race. Upon arrival in Qingdao he said: “The last couple of months have been fantastic. We haven’t exactly set the stage on fire with our results but this team is such a good bunch of people, they’ve made the whole process so much more straightforward than it could’ve been. For me it’s marvellous time. There have been some low moments but a lot of highs as well. On the decision to divert to Shanghai when Trudi Bubb had a fall and sustained a suspected wrist fracture, Paul added: “The traffic separation scheme is actually about 60nM long and we managed to get about halfway along it while negotiations were continuing to establish an evacuation process for our casualty. But by the time six hours had gone by we weren’t able to do that, so we turned around which was unfortunate. The Race Office organised for Trudi to be taken off the boat before the team was even alongside in Qingdao. By the time the arrival ceremony was taking place she had already received hospital treatment and had been diagnosed with a bad sprain rather than a fracture. The fleet is now complete in Qingdao after 14 days on the water. Prize-giving will take place on Monday 14 March at 1730 local time. There are many activities planned for the crew during the stopover in Qingdao, click here to see some of the events that are on.